Breaking down the decor; the lights are the same ones that were inside the glass pear on my Christmas Mantel. 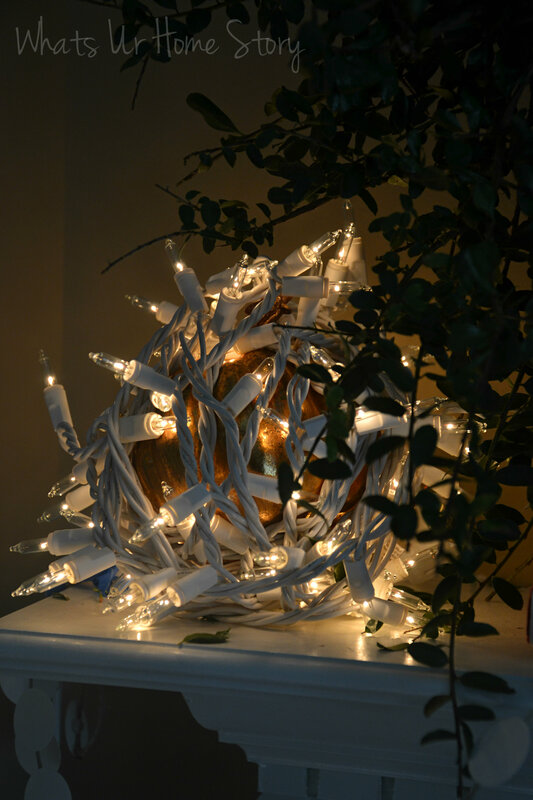 On the left hand corner I just wrapped the lights around a Halloween pumpkin to create a light ball. The boxwood wreath from December has dried well (can’t say the same about the Magnolia wreath though). The leaves do fall off. Before I moved it to the mantel I took it outside and liberally sprayed it with hair spray. 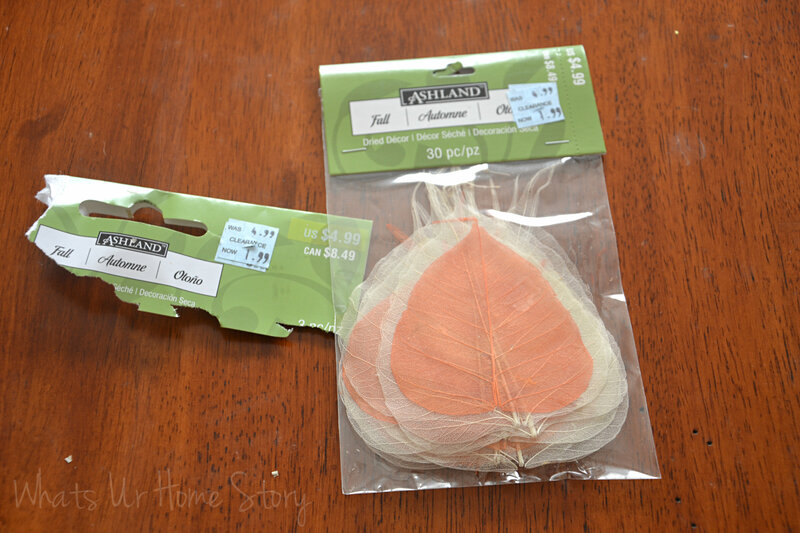 No idea if it is gonna help with the leaf shedding but no harm in trying, right? I have seen HGTV shows back in early 2000’s advising to use hair spray on dried flower arrangements, so maybe it does work? The garland is of course my poster board circle garland from my Christmas tree. 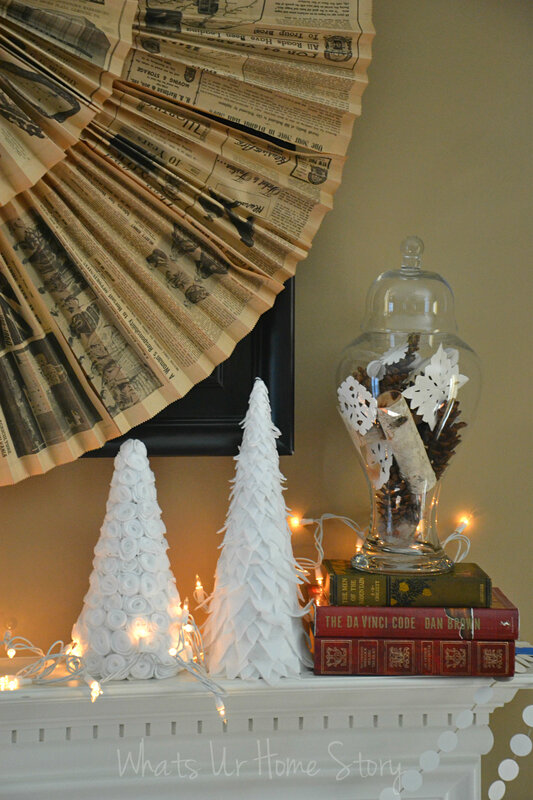 I DIY’d the felt winter trees for the Etsy store. The tutorial on the tall one is coming up soon. The other one, didn’t take any pics when I did it so next year will try to recreate it. I reused the apothecary jar from here and here. 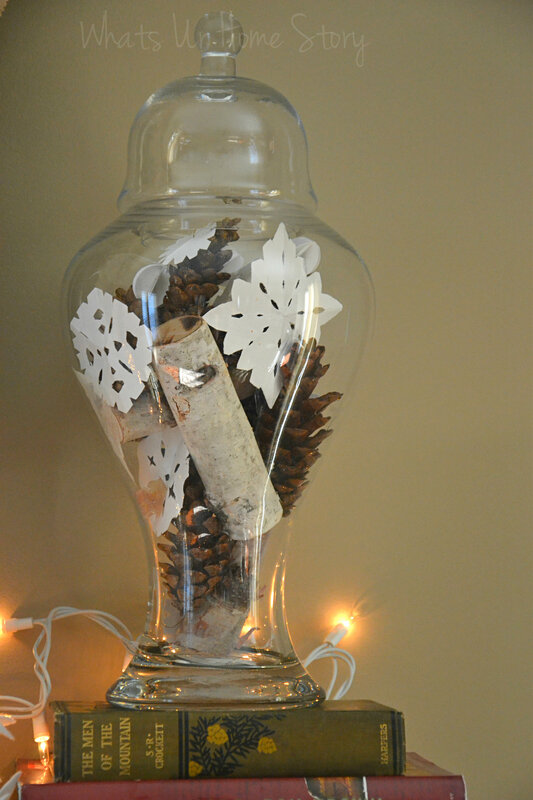 It was a super easy project where I added layers of pine cones, snow flakes again from the Christmas tree, and birch branches and skeleton leaves, both of which I found on clearance at Micheals. The pack on the left is that of the three small birch branches. Forgot to take a pic before I ripped it open. 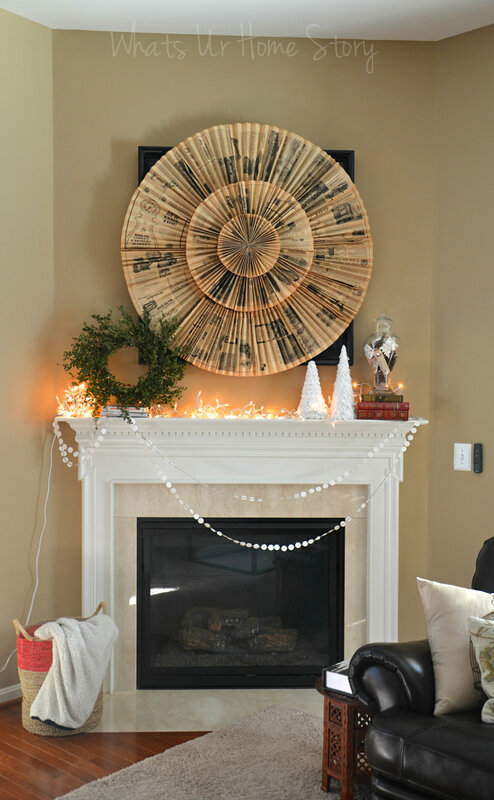 Do you decorate for seasons? 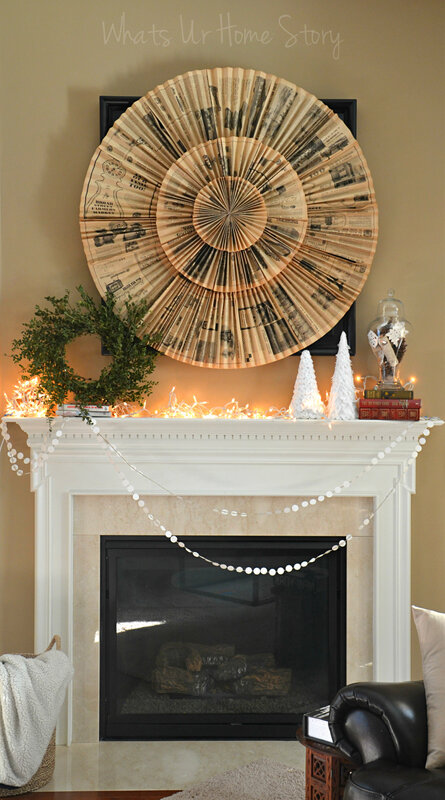 Have you reused any of your Christmas decor? I love the lights and the off center swag. I’m working on my winter mantle.. I decided to go with snow and snowmen in honor of the weather! Thank you Kim. I don’t know what it is but there is about swags and them being off centers that appeals to me. That not to balanced look is perfect for me. 🙂 Heading on to your blog to check out your mantel.